The Friends of Aztalan is looking for your feedback. The Friends has recently awarded an RFP for the Conceptual design of the Aztalan State Park to Dimension IV Madison Design Group. As part of the process we are actively seeking your feedback. To help gather your feedback, four on-line surveys have been created. The survey you take will depend on your role and interest in Aztalan State Park. 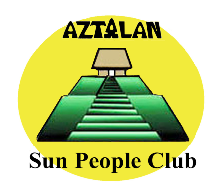 - If you are a member of the Friends of Aztalan, the General Public, Local Official, Student/Educatior or the general public, please fill out this survey. - If you are an Exhibit Designer or Museum Curator, please fill out this Survey. - If you are an employee of the Wisconsin DNR, please fill out this Survey. The results of these surveys will help us design and build a great Visitor's Center for Aztalan State Park.